Sling Media – remember them? 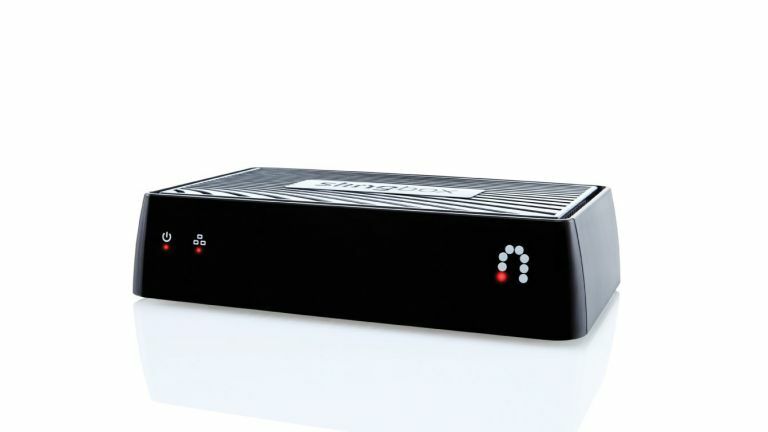 – has launched a new Slingbox in the UK. The Slingbox M1 hit the US last year, and lets you beam telly shows in full 1080p HD from your set to any other device over Wi-Fi. That means you can watch on your smartphone, tablet, desktop, laptop, or even another telly, should you wish, using an Apple TV, Amazon Fire TV Stick, Google Chromecast or Roku device. Just fire up the Slingplayer app from the relevant app store, and you're good to go. The M1 is available now from PC World, Currys, Amazon and Maplin. It costs £129. Sling Media has been a bit quiet on these shores of late. We loved the early Slingboxes, but the TV landscape has shifted dramatically since those days. Now you can buy a Now TV Box for a tenner, and everyone including Apple is launching their own TV streaming service. But if you travel a lot, and want to stay abreast of the goings-on in Albert Square, the M1 could well be worth a look. Sling Media updated its iOS and Android apps last year, giving them a consistent look and allowing full Slingbox set-up through the app. Other than that, we haven't header much from it lately. But it's good to have it back.